Landowners, Cary Fassler and Deb Kahkejian will lead us along this moderate three mile hike of their trail system. You’ll experience forestland, rolling meadows, and wetlands that are home to a variety of wildlife on this 970-acre Land Trust property, protected by THTLT. We’ll meet at the Fassler and Kahkejian residence at 398 State Route 69, Williamstown, NY (mailing address is Williamstown, actual location is just east of Amboy). Look for a Tug Hill Tomorrow Land Trust sandwich board that will be posted at the entrance. Plan on wearing sturdy boots, or bringing your snowshoes, and wearing plenty of warm layers. Please pack a snack and water. 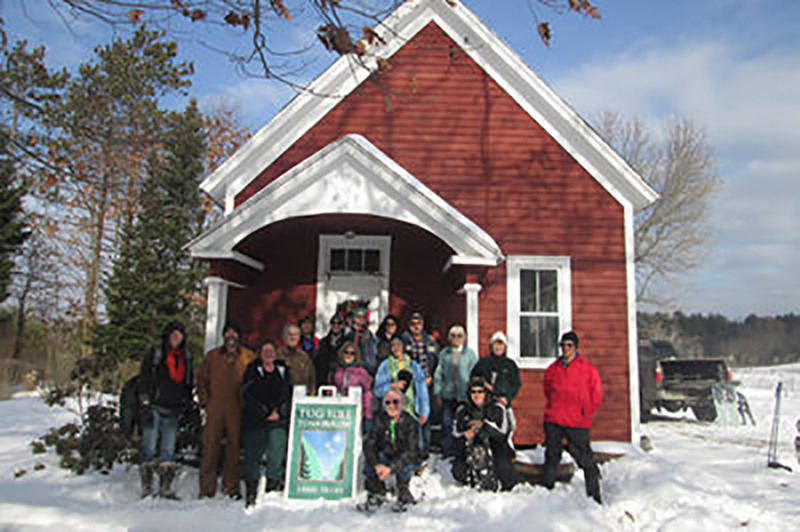 After the hike, participants are invited back to the homestead to warm up with cookies and hot chocolate.